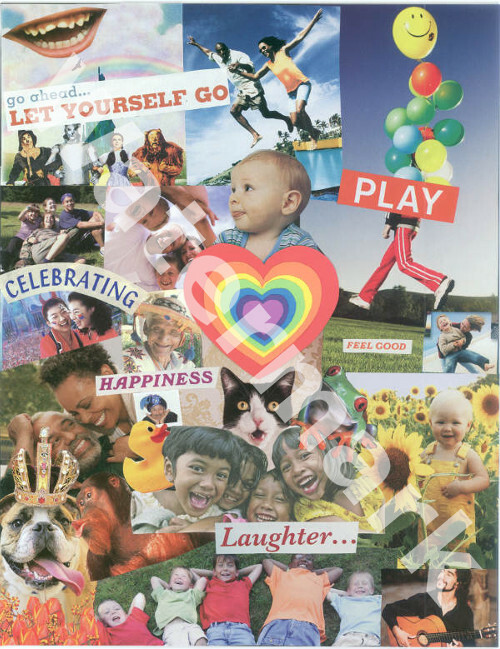 The art of collage is representative of all the individual pieces that come together to form a whole ‘peace’ of art…the art of the heart (Heart Art). 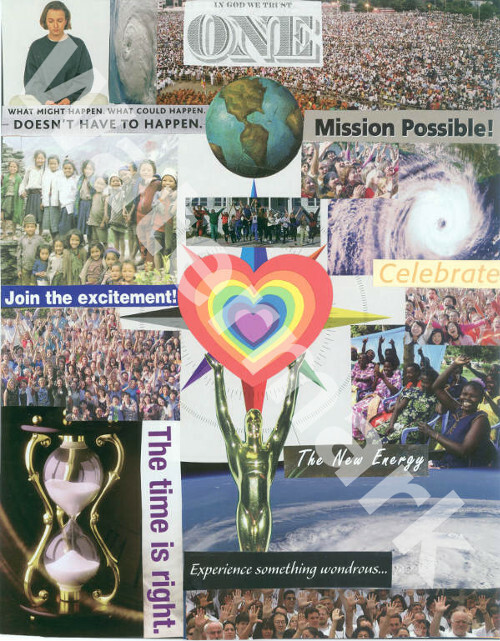 As we all come together as co-creators in the collective consciousness, we participate in a great conspiracy of love. 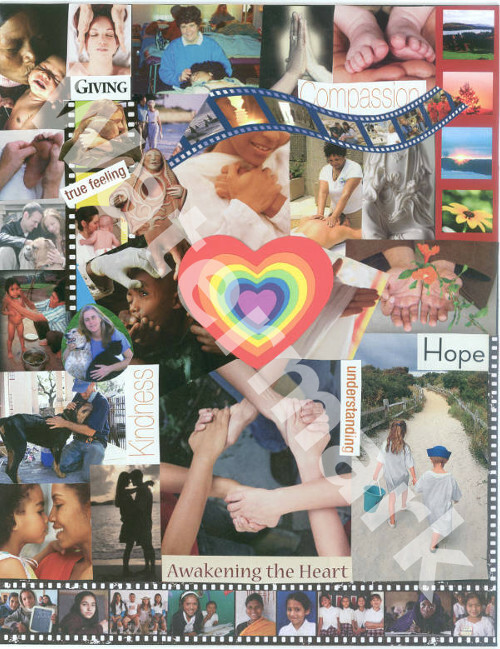 When we recognize our whole heart, we join with the Whole Heart of all Creation. With love, from my heart to yours. 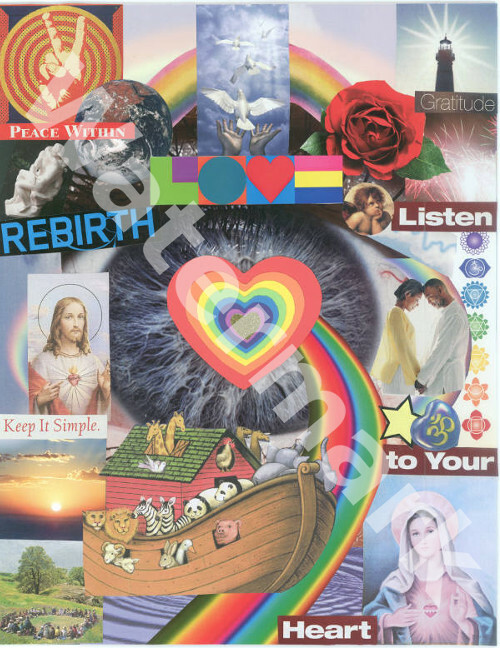 After the flood in the story of Noah, God made a rainbow as a symbol of peace, the covenant between God and man. I see that rainbow in the heart. the seven colors of the rainbow; red, orange, yellow, green, blue, indigo, and violet represent the seven rays of celestial origin, as well as the seven chakras of the body. The heart muscle is actually seven layers overlapping and moving in opposite directions causing a magnetic force. 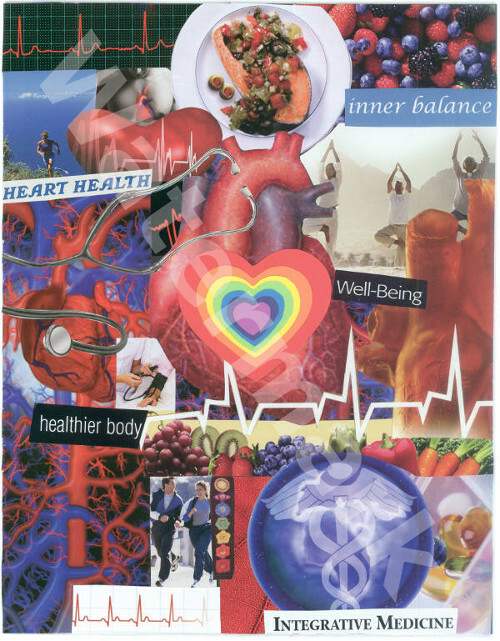 Gregg Braden referred to the heart as “a seven layer liquid oscillator”. 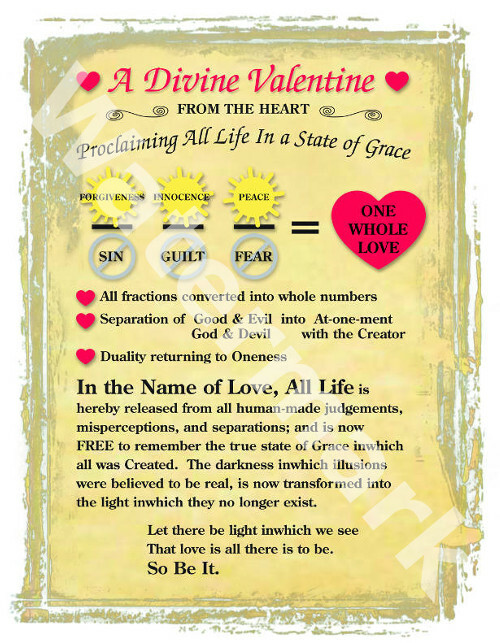 Could the heart be the microcosm of the Divinity in the macrocosm? 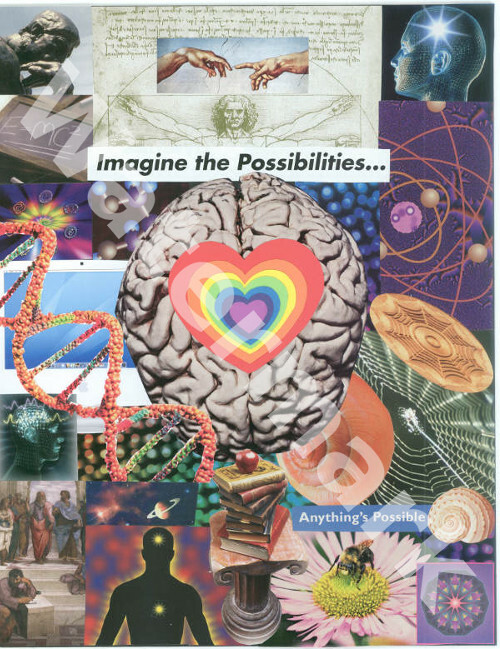 Could the heart be the key where logic and emotion merge to manifest miracles of love? 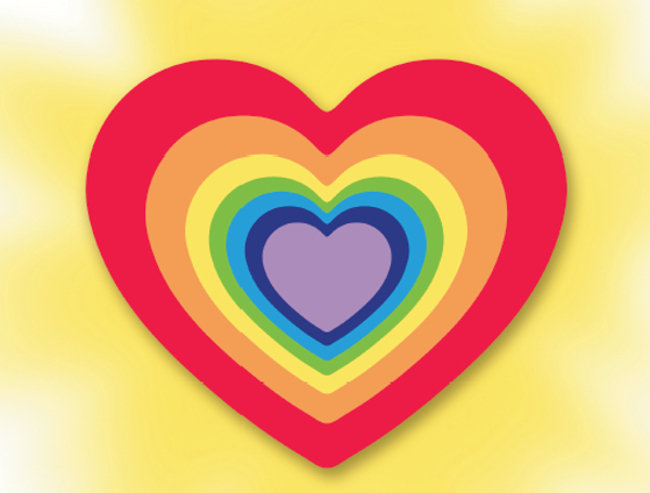 The pot of gold at the end of the rainbow can be found within the golden center of our hearts, the Holy of the Holies, as in the adage, “Where your heart is, there is your treasure also”. I have the vision of Love awakening within our whole hearts through a quickening of consciousness that is so needed on our planet. Like an idea whose time has come, I believe we are all here to experience this revelation because we are ready, willing, and able. Now is the time and we are the people. It is through our hearts that we remember the truth within us. the wise ones have told us this throughout time. 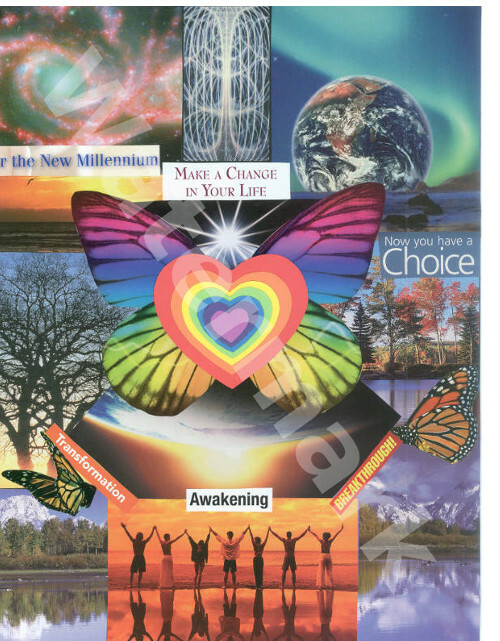 Now it is our time; to be empowered to experience this Great Awakening, the revolution of the heart. 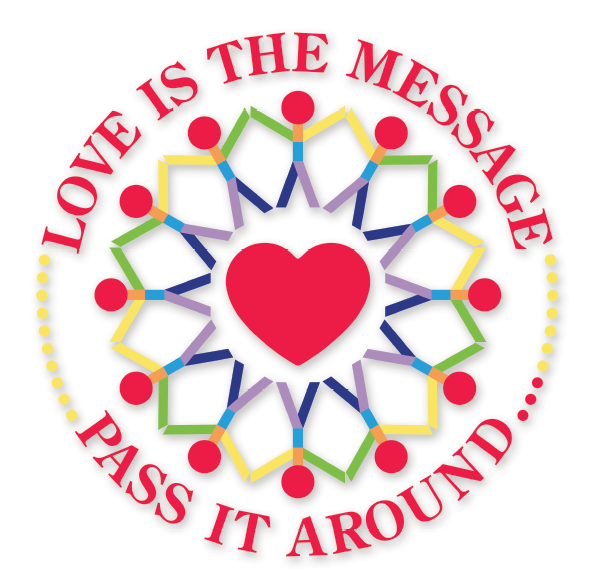 The spiritual heart connects us all, joins us in a commonality and makes all the same. It transcends our different beliefs, cultures, genders, and age as it demonstrates that we all are one at heart. It unites all humanity with a common purpose. Compassion comes from the heart and goes to the heart. As we all suffer at one time or another in this world, the comfort we receive from someone who cares, gives us the feeling of not being alone. In this great movie theatre of life, it’s good to know that we are all in this together. Science confirms the logic of the heart. Faith, hope, and love are not just religious concepts, but the power to “move mountains, or simply to be the change we wish to see in the world. With a little willingness, the wisdom within our hearts will show us the way to live in love and peace. If we view our physical experience as the microcosm of the macrocosm, there is no wonder that our heart dis-ease is a reflection of the collective human heart sickness. As we integrate all the interrelated aspects of ourselves, we recognize our interconnectedness with all life (the prefix ‘inter’ means mutual). It is in our becoming wholeheartedly healthy that we accept “response-ability” for our part in the interdependence of the whole. When we allow ourselves to be light hearted and not take ourselves too seriously, we can happily go with the flow; likewise, when we struggle and strive, we block the flow. Just a little shift in attitude can allow us to handle things more effectively. Make your own comic relief. The greatest truths are the simplest—love one another. People are hungry for the simple truth. people are so ready for the simple answer that will save the day. Instead of looking outside for the solution, the revelation is that the answer is within us, within our collective human heart. 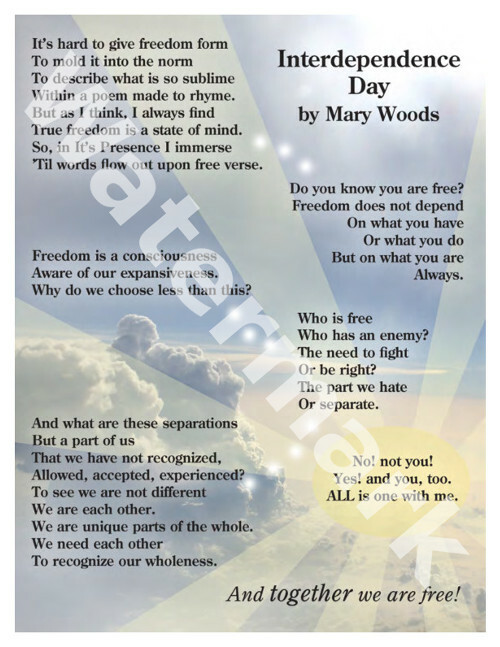 Mary Woods is an author, an artist, a poet and a celebration artist. 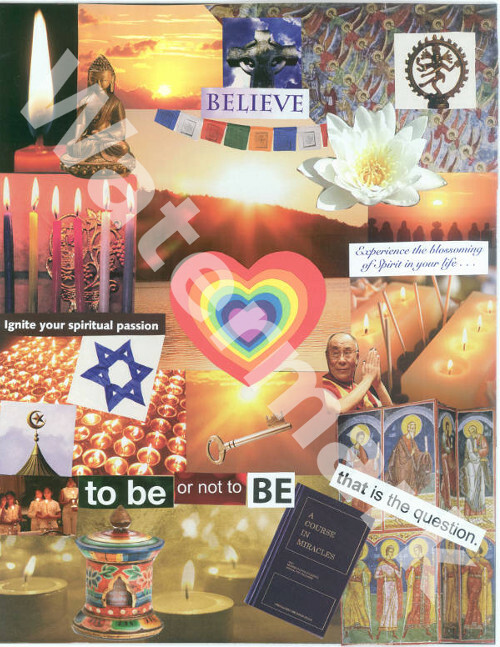 She continues to write, give workshops and is a student and teacher of A Course In Miracles.